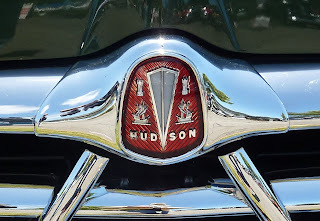 In the early 1950s the Hudson was a formidable competitor in NASCAR. 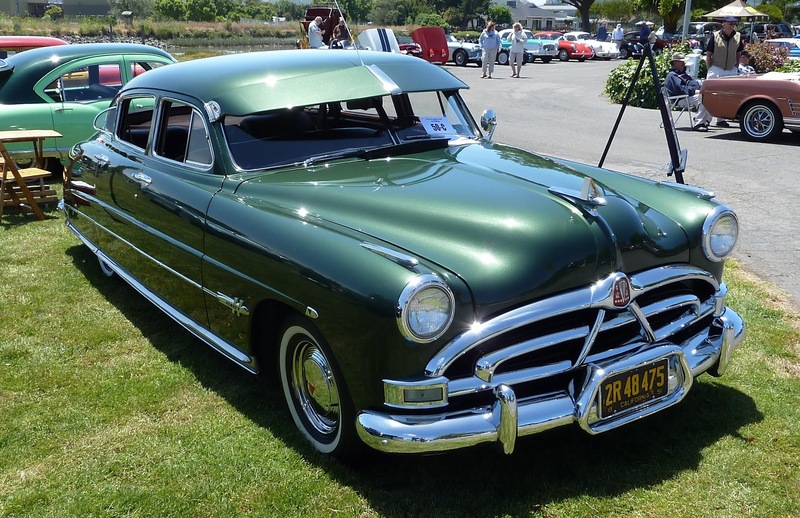 The Hudson Hornet dominated stock car racing in those days when the cars were actually real stock cars and not special built racecars. 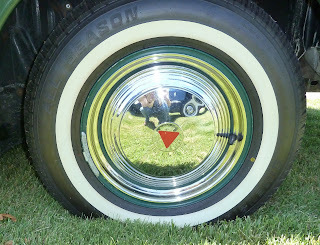 In 1952 Marshall Teague won 12 out of 13 races. The Hornet won a total of 40 out of 48 races, an amazing win percentage. The NASCAR success continued into 1953 and 1954 when Hudson won 22 races and 17 races respectively. This Hornet shown here is in amazingly close to original condition, has had only three owners and is a very low mileage car. This car spent many years in a dark storage location where the sunlight was not able to damage the interior. 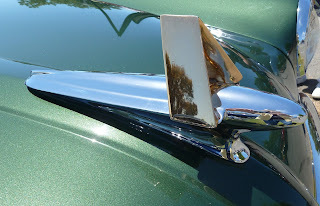 The interior is original and most of the chrome is original, except for the grill and front bumper. A 1951 Hudson Hornet racecar was voiced by Paul Newman in the movie Cars. 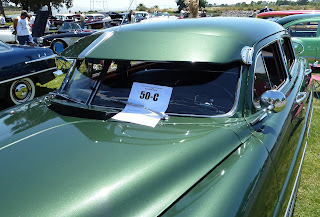 I love the sun shade over the windshield. 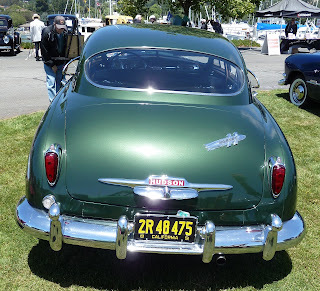 This beautiful Hudson was at the Marin Yacht Club Car Show recently.